Ephesians 4:22 to put off your old self, which belongs to your former manner of life and is corrupt through deceitful desires, 23 and to be renewed in the spirit of your minds, 24 and to put on the new self, created after the likeness of God in true righteousness and holiness. Matthew 10:28 Do not be afraid of those who kill the body but cannot kill the soul. Instead, fear the one who is able to destroy both soul and body in hell. 29 Aren’t two sparrows sold for a penny? Yet not one of them falls to the ground apart from your Father’s will. 30 Even all the hairs on your head are numbered. 31 So do not be afraid; you are more valuable than many sparrows. Matthew 10:37 “Whoever loves father or mother more than me is not worthy of me, and whoever loves son or daughter more than me is not worthy of me. 38 And whoever does not take up his cross and follow me is not worthy of me. 39 Whoever finds his life will lose it, and whoever loses his life because of me will find it. Jeremiah 9:23 Thus says the Lord: “Let not the wise man boast in his wisdom, let not the mighty man boast in his might, let not the rich man boast in his riches, 24 but let him who boasts boast in this, that he understands and knows me, that I am the Lord who practices steadfast love, justice, and righteousness in the earth. For in these things I delight, declares the Lord. Philippians 1:28 and not frightened in anything by your opponents. This is a clear sign to them of their destruction, but of your salvation, and that from God. 1 Corinthians 1:28 God chose what is low and despised in the world, even things that are not, to bring to nothing things that are, 29 so that no human being might boast in the presence of God. 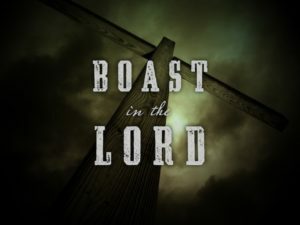 30 And because of him you are in Christ Jesus, who became to us wisdom from God, righteousness and sanctification and redemption, 31 so that, as it is written, “Let the one who boasts, boast in the Lord. 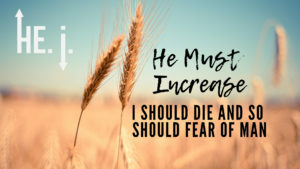 When fear of man is present, we make man big and God small. The person whom we ascribe most authority to defines who we are, what we’re worth and what we should do. We obey the one we fear. 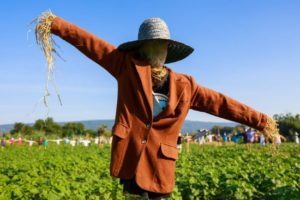 Where do you find Scarecrows in Cucumber fields? 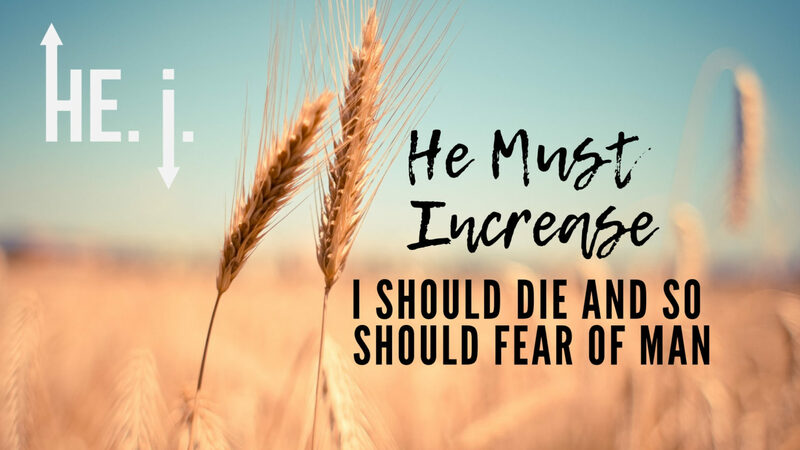 Fear factor – are you trying to please God or man? How do we move away from “man pleasing” through the gospel? How is this series impacting you overall?